As Christians, we are squeamish about desire. Isn’t wanting selfish? Aren’t we supposed to find and follow God’s will rather than insisting on our own? 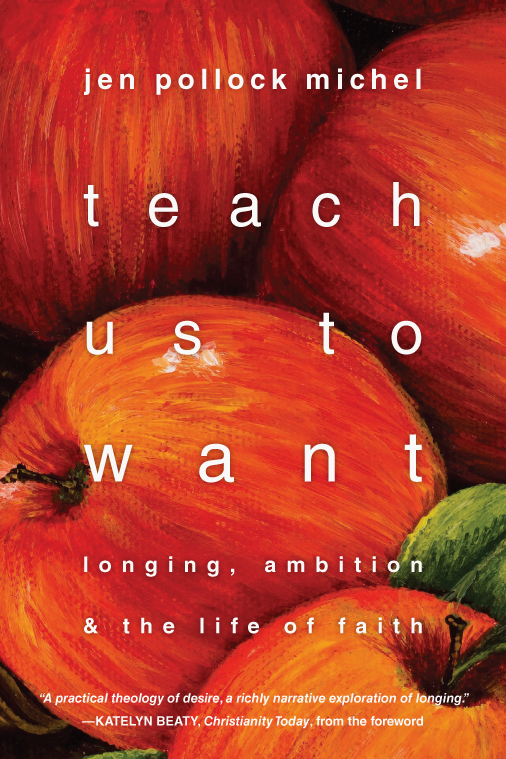 Please join us for a new and exciting five week study, “Teach Us to Want: Longing, Ambition: the Life of Faith.” Author Jen Pollock Michel explores the themes of Fear and Courage, Grace, Scripture and Prayer, Petition and Confessions, Community and Commitment. Come and engage in conversation on how to identify and overcome the tension that sometimes exists between personal ambition, desire, and faith. Classes will be on Tuesdays at 7 p.m., weekly, from February 3 to March 3. The book is available in paperback or by download at Amazon or from the publisher, Intervarsity Press. Contact: Shivonne McKay at shivonne.mckay@ptsem.edu. This entry was posted in Men's Ministry, Small Groups, Women's Ministry and tagged Intervarsity Press, Jen Pollock Michel, Lord's Prayer, PTSEM, Shivonne McKay. Bookmark the permalink.